1. John W. Welch and Kelly Ward, “Thieves and Robbers,” in Reexploring the Book of Mormon: A Decade of New Research, ed. John W. Welch (Salt Lake City and Provo, UT: Deseret Book and FARMS, 1992), 248. Interestingly, the names of two notable leaders of the Gadianton robbers—Gaddianton and Giddianhi (each spelled with a double “d” in the original manuscript of the Book of Mormon)—may actually have symbolic significance related to their occupation as robbers. See Matthew L. Bowen, “‘Swearing by Their Everlasting Maker’: Some Notes on Paanchi and Giddianhi,” Interpreter: A Journal of Mormon Scripture 28 (2018): 164–168; John W. Welch, “Theft and Robbery in the Book of Mormon and Ancient Near Eastern Law,” FARMS Preliminary Report (1985), 30–31; Welch and Ward, “Thieves and Robbers,” 249. 2. Welch and Ward, “Thieves and Robbers,” 248. 3. John W. Welch, “Legal and Social Perspectives on Robbers in First-Century Judea,” BYU Studies 36, no. 3 (1996–1997): 142; citing Bernard S. Jackson, Theft in Early Jewish Law, (Oxford: Clarendon, 1972), 1–5. See also, Kent P. Jackson, “Revolutionaries in the First Century,” BYU Studies 36, no. 3 (1997): 129–140. 4. Welch, “Legal and Social Perspectives,” 148. 5. Welch and Ward, “Thieves and Robbers,” 248. 6. It’s true that the legal language of Joseph Smith’s day did offer a distinction between theft and robbery, but according to Welch, these distinctions were “inconsistent in many ways with usages found in the Book of Mormon.” Welch, “Theft and Robbery,” 38. 7. John W. Welch, The Legal Cases in the Book of Mormon (Provo, UT: BYU Press and Neal A. Maxwell Institute for Religious Scholarship, 2008), 354. 8. For more on the secret societies in the Book of Mormon, see Book of Mormon Central, “Why Does the Book of Mormon Use the Phrase ‘Secret Combinations?’ (3 Nephi 7:6),” KnoWhy 377 (October 31, 2017). 9. 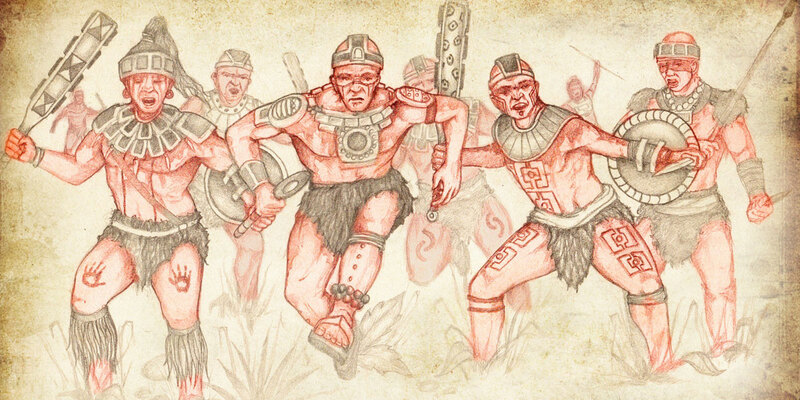 For more on the tactics of the Gadianton robbers, see Book of Mormon Central, “Is the Book of Mormon’s Depiction of Guerrilla Warfare Realistic? (Helaman 11:25),” KnoWhy 423 (April 10, 2018).